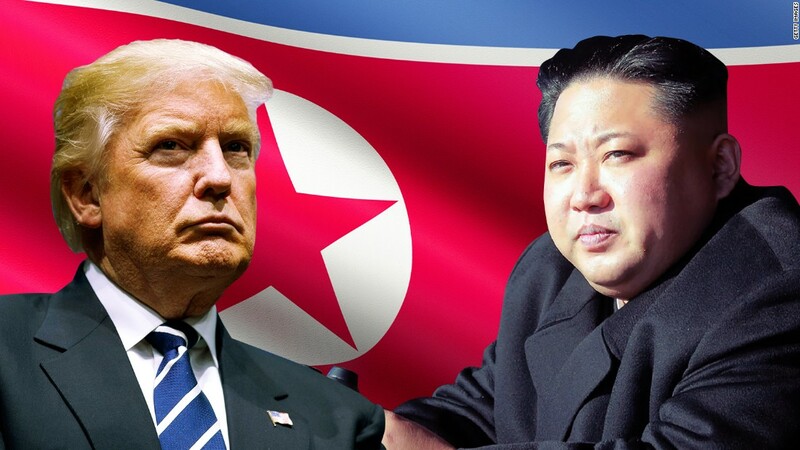 In my humble opinion the meeting between Donald Trump and Kim Jong Un will result, in 2018, in the denuclearization of North Korea, the withdrawal of all US troops, and the establishment of ties between the two Koreas. Trump and Kim are very much alike. They should have no trouble negotiating a deal. There is a lot of history leading to this point. Let’s look at how we got here. China and the United States, for different reasons, have conspired together since maybe 1949 to keep North Korea poor and isolated. The historic reasons were perhaps adequate 70 years ago, even 40 years ago. South Korea was able to establish itself as a first-world economic power using Capitalistic means. That’s a good thing. The lack of examination of the need for near total strangulation means that this ancient history has led in a straight line to today. And history does not create the same outcome as it did back in 1949. We need to pay attention to what’s going on now. For the last 30 or more years the American rationale for continuing to blockade and strangle North Korea has faded from year to year. Our government has ignored these changes and has acted. This includes Clinton, the Bushes, Obama and Hilary Clinton. All have been in denial and turned the other way. From www.mcgeepost.com .Copyright © 2013 Michael H. McGee. All rights reserved. Please feel free to share or re-post all or part non-commercially, hopefully with attribution. As a patriotic American, I really don’t like to be critical of my country’s foreign policy. I am doing so here, and I regret the necessity to do so. Yet one of the common themes of my writing is that policies and practices which worked in the twentieth century don’t necessarily remain useful in the ongoing progress of the twenty-first century. The Berlin Wall of the East is one such ancient policy which needs to be seriously re-examined to find a more productive and effective way of dealing with our important international relations. The armed border between the Koreas is one of the last remnants of the twentieth-century cold war. It does not belong in the twenty-first century, and the barrier should be torn down. US and UN troops should go home and leave the two Koreas to work out their future together. The United States was always so angry and upset about the Berlin Wall, built by the Soviet Union to keep the border between East and West Germany fully defended. “Tear down this wall!” was the challenge issued by United States President Ronald Reagan to the Soviet Union, in a speech at the Brandenburg Gate near the Berlin Wall in 1987. Not long after this speech the wall was torn down. There was no cataclysm. Now Germans in the east and west parts of the country work together for common goals. The ravaged eastern part of the country was easily absorbed by the more wealthy western part of Germany. Yet it is we, the United States, who are so insistent about maintaining the 38th Parallel wall between the two Koreas: predicting catastrophe and chaos if there is any interchange between North and South. We are acting just like the Soviets did in Germany during the European part of the cold war. It’s time to end the mentality that keeps a “war” going even when there is no war. The United States always seemed to care more about the Europeans, with whom we share a common culture. Our moral outrage was directed toward the Berlin Wall which kept all these Europeans from mixing with one another. When Asians are involved, though, there’s a cultural barrier we can’t see here in the US. We can’t even comprehend the moral outrage of maintaining a “38th Parallel” wall of our own making: keeping a war going that was over by the middle of the twentieth century. Is it any wonder that the North Koreans sees the United States as a war-like people who only want to keep them from joining the world community? After all, we’re the ones who are keeping up all the barriers. We’re the ones who’ve kept a choke-hold on North Korea for almost sixty years, without any let-up and without any sign of remorse. We claim that they are the “hermit kingdom,” yet we are the ones who keep them isolated, by brute force and major economic sanctions. Can no one see that dear leader Kim Jong Un wants to be free of the choke-hold of the twentieth century cold war imposed relentlessly by the United States against North Korea? Sure, Kim rattles sabers. He knows as well as we do, though, that the North Korean Army is like blades of grass, easily cut down by the giant lawnmower of the US and South Korea if they attack. North Korea in land area is about the size of the US state of Mississippi, which has the lowest per capita income of any state in the US. The Gross Domestic Product (GDP) of Mississippi in 2012 was $98 billion dollars. The total GDP of North Korea during this same period was $28 billion dollars. This almost unimaginable lack of economic activity in North Korea is the best way to understand the inability of North Korea to be a credible military threat to any country. Another way to look at it is to note that the GDP of North Korea is less than 3 per cent of the GDP of South Korea. North Korea at the present time has virtually no financial capacity at all. How can such a nation be such a feared enemy of the United States? So, everyone knows North Korea does not have even the slightest potential to defeat the US and South Korea in a “war.” It wouldn’t even be a war if the North Koreans took it on themselves to invade South Korea. It would be a one-sided slaughter. The United States knows this, and Kim Jong Un knows this. 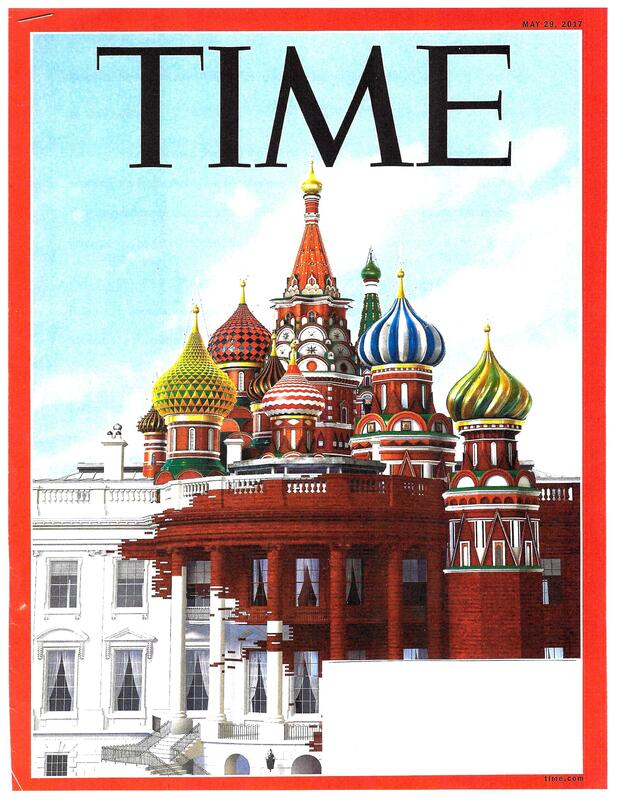 Why, then, are we keeping up this tawdry twentieth century cold war façade? Ambassador Sin said U.S.-North Korea talks should include replacing the armistice agreement that ended the 1950-53 Korean War. One of the “prerequisite requirements” for establishing “a peace mechanism” to replace the armistice, he said, is the dissolution of the U.S.-led U.N. Command [and by inference dismantling the wall between north and south]. The ambassador said the talks can include “a world without nuclear weapons,” which the United States has already proposed. I’m aware that South Korea currently has no nuclear weapons. It’s possible that the United States maintains one or more nuclear missile launch sites in South Korea. If there are any, they should be removed immediately, without even waiting for any reciprocity. The US has enough deterrent power in reserve, so that keeping nuclear weapons anywhere on the Korean Peninsula is a dangerously stupid and provocative thing for us to do. In 1962 we gave the same message as Ambassador Sin is giving to us now, to the Soviets when they tried to move missiles into Cuba. Even though the North Koreans don’t have the same “bully pulpit” that John Kennedy and Ronald Reagan had, it’s clear that in this ideological battle they have the moral high ground, and we are in the same position as the Soviets were back then. When you get past the angry rhetoric, it’s as if the new “dear leader” Kim Jong Un really does want to reunite the two Koreas. It’s abundantly clear that he has no idea how to govern North Korea. It’s probable that he feels a great weight of responsibility for the welfare of the 25 million people who are suffering under an almost nonexistent government, while their South Korean brethren are living good and prosperous lives. If the 38th Parallel wall is removed it’s likely that the dear leader and his top lieutenants will leave the country and retire in Switzerland or Hong Kong or even in Beijing. If the wall at the 38th Parallel is taken down, the least likely scenario is that hordes of fierce soldiers will invade from the north. This scenario may have been likely in 1953, or even in 1983. It will not happen now, in the twenty-first century. The Korean peninsula has changed. The rest of the world has changed. China will not feel threatened by having capitalists moving up the peninsula right to their border. They have the same ability to repel cross-border Korean invaders at this time as we have to repel any invasion of North Korea into South Korea. This was not always so. During much of the late twentieth century they needed a buffer zone between South Korea and their national border. China has been a full participant in the international configuration which has maintained the isolation of North Korea. With their desire for a buffer zone, they can claim no moral superiority over the United States in the matter of the isolation of North Korea. China is much stronger and more confident at this time in history, and no longer needs such a buffer zone. It is up to the United States to make the first moves to end the isolation of North Korea. We are the strong man in the area, the one the others fear. Our strength is what gives us the ability to act without trepidation at this time in history. China, now also strong, will support us in ending the isolation of North Korea. Now is the time. Let’s tear down the Berlin Wall of the East, and at last end the cold war and move into the twenty-first century. Please see my disclaimer at the end of this article. In his first State of the Union address after the September 11, 2001, destruction of the World Trade Center, George Bush used the term Axis of Evil. He applied this term to the nations of North Korea, Iran and Iraq, who he said were developing weapons of mass destruction and were practitioners of state-sponsored terrorism. Not long after this declaration, the US invaded Iraq and brought down their government. So Bush and company had destroyed one member of the Axis of Evil. What were the other two members of this exclusive club to think? They probably felt they would be the next targets of US invasion, and were terrified and angered at this prospect. They had to keep up their guard and saber-rattle and go through the motions of developing nuclear arsenals of their own, as a way of assuaging their own fear that the US might invade and destroy them at any time. Even today the same US foreign policy of viewing North Korea and Iran as the Axis of Evil is still in place. So even as we speak there can be nothing but conflict with those two nations who truly believe that the West is intent on destroying them. So they consistently generate a counter-narrative, which is that they are intent on destroying the West. George W. Bush was the one who set up the foreign policy which made these two countries into the Axis of Evil. Mr. Bush was wrong about many aspects of foreign policy. Perhaps he was wrong about this one. Further, even if the designation was true in 2002, it is likely that world dynamics have changed. There may now, eleven years later, be reasons to ameliorate the harsh stand taken by the US against these two nations. We are not living in the same global turmoil and other circumstances as we were back in 2002 when world affairs were confusing and we were fresh from the World Trade Center. Is it possible that the US needs to consider actively rescinding the designation of North Korea and Iran as the two rogue nations which we may need to destroy at any moment, with or without a reason (as we did with Iraq). I am a patriotic American of Anglo-Irish descent, a Christian, and a supporter of Israeli statehood. I say what I am saying on this subject not out of any cultural or political bias; I am simply concerned that US foreign policy may be doing damage on the world stage by continuing to follow the early policies of George W. Bush. It is largely because of the American and Allied War on Terror that the circumstances of world turmoil have been ameliorated. We have of course not by any means won the war on terror, yet terrorism has certainly been made more difficult and costly since 2002. I would argue that in spite of their continued canned rhetoric, many of the early incentives of North Korea and Iran to engage in terrorism have been removed by the War on Terror. It is likely that at this time, these two small nations are still living in a feeling of terror that the US may attack and destroy them: since we have not rescinded our Axis of Evil policies. Frightened people, and frightened governments, will do stupid things, particularly if they see themselves as being in the dangerous position of being the worst enemies of the greatest power on earth. It’s really rather ludicrous to even think that North Korea might launch an attack on South Korea, or on Japan, or send a nuclear missile to the US. It is just as ludicrous to think of Iran actually launching an attack of any kind on Israel, or any other country for that matter. The leaders of North Korea and Iran are not foolish. If they did launch any such attack, the US would immediately retaliate with such overwhelming force that the small countries would practically be annihilated. It doesn’t take a genius to figure it out. So the Axis of Evil designations, and all of the economic sanctions against these two nations, are really little more than ongoing bullying on the part of the US and the Allies. The Bush policies, still in place as of now, are doing little more than kicking these small nations while they are down. We do it simply because we can do it, and because someone eleven years ago enunciated a foreign policy doctrine which has never been re-examined since that time. The leaders of the two small and relatively weak countries are retaliating in the only way they know how: by pretending to be on the way to becoming nuclear powers, and by claiming that they intend to destroy the West (which they can never do) in exactly the same way the West (with its massive ability to do so) is threatening to destroy them. North Korea is suffering deep and persistent pain in part because the US and the Allies have continuously blockaded the country from world trade, and imposed economic sanctions which are in fact effective in crippling the growth of the country. Yet still we pile on more economic sanctions in the faulty belief that the ones we are using are not working. Actually, the US has been excluding and conducting a grand campaign against North Korea ever since the end of the Korean War in 1953.And it has been working. North Korea is still in the dark ages, largely due to the economic isolation imposed by the US and the Allies. The North Korean government becomes more set each year in its opposition to the West, and increases the level of rhetorical exhortations to destroy the Western enemies. They can’t do much other than yell and fire off ineffective missiles. They are a small and relatively powerless nation which has been targeted for the infliction of pain on its citizens by the US and the Allies. It’s as if the North Koreans were convicted back in 1953 of the crimes they committed, and they will never, even with the passage of generations, have any opportunity to redeem themselves in the eyes of the world. Japan committed worse atrocities in WWII, yet they are fully redeemed in the eyes of the world because the US needed their industrial strength and long history of stability in order to counterbalance the threat from China. North Korea has no industrial strength and has never had any stability. Kim Il Sung came from nowhere in 1948 to suddenly be the Leader of North Korea in 1948. He was essentially “put on the throne” by the Russians. In 1948 his Korean language skills were marginal at best; he’d only had eight years of formal education, all of it in Chinese. He needed considerable coaching to read a speech the Russians prepared for him at a Communist Party congress three days after he arrived in the nation he’d been tapped to rule. Had it not been for the campaign which created the “cult of personality,” Kim Il Sung and his descendants would have been very unlikely to have been given the responsibility of running a gasoline station, much less a country. The current Supreme Leader, Kim Jong-un, is a very superficial young man who has no idea what to do to handle the business of government. The advisors surrounding him don’t know much more than he does: after all, they were taught by Kim’s father, Kim Jong il, who never did a very good job of running North Korea. The current Supreme Leader Kim Jong-un was educated in Switzerland, yet dropped out of school in the 9th grade, leaving school abruptly in fall 2000. His grades and attendance rating are reported to have been poor. According to some reports, Jong-un was described by classmates as a shy child who was awkward with girls, indifferent to political issues but distinguished himself in sports, and had a fascination with the American National Basketball Association and Michael Jordan. (Wikipedia) It’s quite likely that his reported university degrees are “honorary” only. This is not the kind of man who can be expected to run a nation. I doubt that even now he has much interest in the daily affairs of North Korea. He’d rather be playing basketball, and be touted by the Onion as the Sexiest Man in the World. If his leadership was threatened he’d probably be quick to flee to Switzerland, which has been more his home. Then he wouldn’t have to worry about the, to him, insoluble puzzle of what to do with his family dynasty, North Korea. Kim Jong-un is definitely not an evil man. He is a young man way out of his depth. Yes, the US and the Allies have made it difficult for North Korea to succeed as a nation. Yet the US and the Allies have done the same thing to Iran, and Iran has grown a fairly competent leadership which has created a functioning and somewhat stable state in spite of the opposition from the West. North Korea has done no such thing. Their leadership is ignorant and, worst of all, doesn’t really care if the peasants under their thumb do well or not, as long as the senior leaders have their private privileges. So, since the small nation has been blackballed by the US and the Allies, the North Korean leaders strut around sadly and ineffectually and claim they are developing nuclear materials so they can build a nuclear power plant. So what do they want? They want a nuclear power plant! They want a reliable electric supply, of whatever kind. They have no idea how to get it on their own, in their terrible isolation and aridity of intellect. The people of North Korea are also hungry and the leaders know it. The simple elimination of blockades and economic sanctions would not have as great an effect there as in Iran. The leadership wouldn’t know what to do with the new privileges, or have the money from their neglected economy to do much in the world. Yet full connection with world commerce would help restore normal vitality to the citizens of a nation which has been deeply compromised because of continuous bullying by the US and the Allies. The real needs of North Korea are so painfully transparent that anyone should be able to see through their saber-rattling rhetoric. North Korea has been on the US threat list since the Korean War, and on the Axis of Evil list since 2002. They are a small, weak nation, in some danger of becoming a failed nation, as they eke out their existence now in 2013. Is this the goal of US foreign policy: to get them to utterly fail, and become another Somalia? It shouldn’t be. The goal should be to bring the citizens of North Korea into the family of nations, where they can struggle to prosper along with the rest of the world. North Korea does not have the internal competence to build power plants and an electrical grid. Therefore they could be offered an unlimited amount of technical assistance and loans to build modern fossil fuel plants and an electric grid. In exchange, they should be glad to give up their feeble and delusional nuclear ambitions and their Cult of Personality. The United States and China could cooperate in financing the plants over the long term, and set up supply lines and help find internal mining operations for fossil fuels. If we reach even further we could consider dismantling the armed border at the 38th Parallel. This would allow South Korean firms to establish facilities in a united Korea, and allow current North Koreans to participate equitably in the building of a stable economy in this united Korea. This policy has been proven to work, in the uniting of East and West Germany. Maybe the Koreans would be just as happy at the present time to cooperate with each other, as the Germans were in 1990, given the right incentives. The North Korean leadership is similar to a paper box kite. The string which keeps it from flying away chaotically is the Cult of Personality; which imposes legitimacy on a regime which was always, from the very beginning, a Cold War cut-out for the Russians and to some extent the Chinese. The strong winds which keep the kite aloft are the extreme opposition from the US and its allies, and to some extent from South Korea. If the winds of virulent opposition cease to blow, the kite will fall and the paper will collapse onto the ground. Dismantling the heavily armed border at the 38th Parallel will not lead to a North Korean invasion. There may be some shooting, yet it is fairly clear that the North Korean army will not attack a much better armed US and South Korean force. It’s actually unclear why the North Korean army would fight at all if the border between the North and the South were removed. Along with the other citizens of North Korea, they would see the opportunity for living a better life in combination with South Korea. If there were not a coup in Pyongyang, the Supreme Leader and his top advisors would probably leave the country as fast as they could. Most of them probably have money of their own stashed away in Swiss banks or in Hong Kong. These incompetent national leaders would at least assure their own bodily survival, even though they’ve spent decades not understanding or caring about the survival of their country’s people. So it’s time for the US and the Allies to end the isolation campaign against North Korea and for the US to remove the Axis of Evil designation. If the opposition is removed, North Korea will lose the current righteousness of its saber-rattling and nuclear baiting. The country will collapse of its own indecipherable weight, and in combination with South Korea its citizens will take their rightful place in the family of nations. Likewise, Iran is suffering more than they will ever let on from the blockades and economic sanctions imposed on them by the US and the Allies. Actually, the US has been excluding Iran ever since the fall of the Shah, in about 1979. It’s like we can’t get over the fact that they took their country back from the Shah, and we’ve been demonizing them ever since. The Axis of Evil designation is just one more smear campaign against a reasonably stable and sovereign nation. It’s time for the bullying of Iran to end. Iran, even with all its nuclear talk, is not in any position at the present time to threaten the existence of the state of Israel. They don’t like Israel, to be sure. Some of their rhetoric is right wing to the point of being fascist. Yet right now, in 2013, there are so many checks and balances in place in the Middle East that Iran knows all it can do is make a sound and a fury signifying nothing. With the amount of oil within their boundaries, they should be a more internally prosperous nation than they are. The massive economic blasts against them have made their oil wealth and their emerging intelligentsia much less of a stabilizing factor than if they were not the target of the daily wrath of the West. It’s unlikely that the leaders of Iran are very comfortable living the way they do, shouting about the destruction of the West, and continually showing pictures of nuclear centrifuges they hardly know how to operate. Our Bush-era Axis of Evil foreign policy is probably much harder on Iran than it is on North Korea. Iran has so much potential for establishing a stable civil society among its people, given its oil wealth and the general ability of both its theocratic and secular leadership. Is it any wonder that the Ayatollahs and Mr. Ahmadinejad wake up each morning in a fever of impotent fury? They’ve been tagged by the greatest power on earth as a part of the Axis of Evil. Until the Americans decide to re-examine their foreign policy, there isn’t one single thing the leaders of this small nation can do to improve their reputation in the world. The leadership of Iran is competent to run their country. There is no danger that they will collapse or even backpedal in their crab-like march toward twenty-first century progress. They are ready to join the family of nations, and will likely do so quickly if the US stops bullying them and makes genuine overtures which include opening trade and lifting sanctions. The rhetoric of Iran also tells us what they want. They say they are enriching uranium so that they can build a nuclear power plant. So what do they want? They want a nuclear power plant! They want a reliable electric supply. Can we hear what they tell us, without filtering it through our own rhetoric of the Axis of Evil? The new Secretary of State John Kerry knows first-hand what it was like when the US set about to bully Vietnam into submission between 1955 and 1975. He knows the cost in human lives and in massive-scale armaments, and how it did not work. He also knows that the Vietnam of today is not in any way a threat to the United States, nor to any of its neighbors. Perhaps he should examine the Axis of Evil policies now in place, using the same true test of hindsight which we learned from the Vietnam War. In Vietnam US leaders were consumed with the now discredited “domino theory,” which stated that if one country went communist, the next country would fall and become communist also. The domino theory was the source of our massive failure in Vietnam. Let’s don’t permit the emotionally derived Axis of Evil theory to continue to permit us to bully and smear small countries because they may have a different view of the world than we do. When we look at threats to the US we should actually pay attention to the nations or terror groups which can actually do us physical harm. The small nation of Iran is certainly not in a position to harm the US or any of its allies. The consequences of them attempting to do so are unthinkable. They will not commit national suicide. Here in the US and with the Allies we already have all the technology to build conventional power plants: yet we withhold such technology and put Iran in the ridiculous position of attempting to replicate complex technology from scratch. In Iran we might even offer to provide our technology to build oil-fired power plants and the related infrastructure around their country, since they have so much oil and the means to pay for such plants and infrastructure. We need to offer the Iranians something concrete in exchange for them giving up the futile effort to replicate nuclear technology on their own. What Iran really wants and needs is electricity, and an open and unfettered place at the world economic table consistent with the size of their country. In its foreign affairs the US can either continue to pursue failed policies by continuing to bully the Axis of Evil – or we can look for new directions which will contribute to the building of a world community of cooperation. None of the changes proposed here will bring world peace or solve the Middle East crisis. They are just one step on a long road which may lead toward some harmony with two of our “self-described” adversaries. Up to now we’ve been attempting to crush these two countries. Isn’t it about time we took our boot off their necks? As the writer of this piece I know that I am not an expert in foreign affairs or global politics. I see what I see and I write based on what I see, with the expertise of a career as an analyst, a litigator and a negotiator. If I have said anything in this piece which could in any way compromise the security of the United States or any of its allies including Israel, then with respect I withdraw any part which is compromising. I am an American patriot and I will not pretend to second-guess our State Department or our global strategy. I believe in my observations, yet my duty to my country must come first and always.